Born in the former Soviet Union, Olga graduated from the Moldovan Academy of Ballet Dance (Russian Vaganova Method) and the University Musical Theatre and Fine Arts in Chisinau. She was a participant and was awarded the Diploma of the First International Festival of classical dance "Chisinau- 1998" honorary diploma of the world famous artist Sergei Diaghilev. 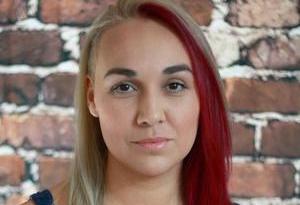 Moreover she has taken part and was awarded a Diploma in international competitions in Austria and Romania. After graduation, and in parallel with its ballet career Olga has always participated in the preparation of children for local competition and for their annual exams. She was invited to be a judge for the television shows and to give master classes in several dance schools in Europe. She was a soloist with the Moldavian National Opera and Ballet in Chisinau and the Principal Ballerina of the Grand Theatre Ballet Russe in the United Kingdom. Olga also danced with the ballet company Crown of Russian Ballet in Moscow. For several years she worked as a dancer and guest teachers from the Moscow Ballet in the United States. 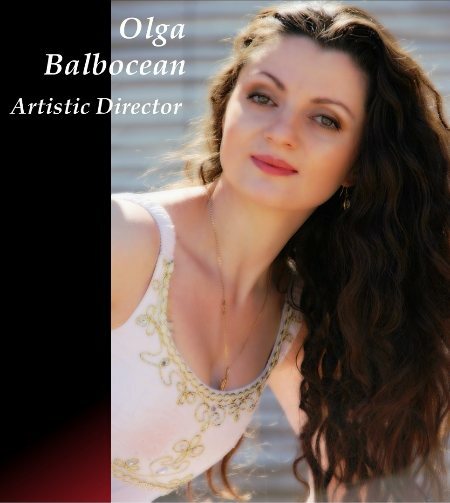 Olga Balbocean has many times toured and performed in the biggest and most prestigious venues in the following countries : United Kingdom, Scotland, Wales , Germany , Russia , Greece , Austria , Ukraine , Belgium , Romania, the Netherlands , United States of America and Switzerland . Olga was nominated and awarded an Outstanding Teacher Award in the Youth America Grand Prix semifinal Ballet Competition in Dallas in January 2014. Olga Balbocean has been invited to conduct auditions in Dallas and in the beginning of 2016 year Ms. Olga has been invited to New York to conduct auditions on behalf of the Bolshoi Ballet Academy. The Bolshoi Ballet Academy is presented by the Russian American Foundation. 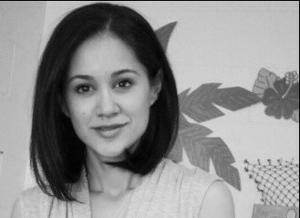 Born and raised in El Paso, Texas, Tessie Hernandez began her ballet training with Andree Harper. She had the opportunity to train with the Houston Ballet Academy as well as Ballet Austin. Ms. Tessie danced professionally with Ballet El Paso, under the direction of Artistic Director Ingeborg Heuser. She danced in countless productions with Ballet El Paso including The Nutcracker, Sleeping Beauty, Cinderella, The Firebird, Easy Winners, The Fairy Doll, and Star Spangled Ballet. Ms. Tessie also assisted Ingeborg Heuser as the Children’s Ballet Mistress in multiple seasons of The Nutcracker. Ms. Tessie later attended The University of Texas at Austin as a dance major and ultimately received her degree in Corporate Communication. She worked for the E&J Gallo Winery before returning to El Paso. Upon returning to El Paso, she began teaching Dance at Franklin High School. At Franklin, Ms. Tessie has taught all levels of dance and also started the ballroom program there. She continues to teach ballroom dance at Franklin and directs the ballroom team. Ms. Tessie currently competes throughout the Southwestern United States as a competitive ballroom dancer in International Latin. Ms. Tessie is honored to be teaching with Ms. Olga. Michelle graduated from the University of Texas at El Paso with a bachelor's degree in Dance Education in 2011. During those years she was able to attend the American College Dance Festival for four years, where she studied and performed with choreographers and dancers from all over the United States. Michelle Urban was awarded for her choreography in 2011, 2015, 2016 and 2017. 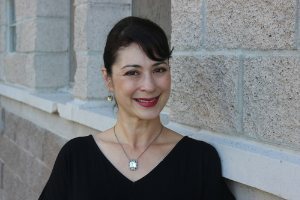 She has reached out to the community and begun teaching in dance studios since 2009.Since then, Michelle has produced, choreographed and danced in several productions for dance studios in El Paso. In 2011 she created a dance organization for the child crisis center that led her to her career in education. She taught dance at Riverside Middle School for four years and has been currently promoted to High School for the upcoming school year. Moreover ,she attends the National Dance Education Organization convention every year and continues to perform and choreograph in order to gain more knowledge and carry it on to her students. 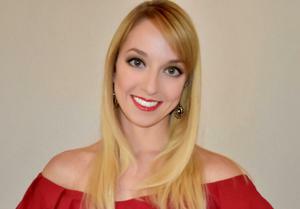 Angela has an extensive background in dance and a decade worth of experience teaching classical ballet, pointe, jazz, and contemporary styles. She began her formal dance training at the Loudoun School of Ballet in Leesburg, Virginia. At age 14, she was admitted on artistic scholarship to the Kirov Academy of Ballet in Washington, D.C. where she received her diploma in the Vaganova method. Since graduation, she has danced for companies such as The Washington Ballet (scholarship), Richmond Ballet (scholarship), First State Ballet Theatre, and most recently The Sarasota Ballet of Florida. She has performed leading roles in Swan Lake, Don Quixote, The Nutcracker, and Coppelia. Angela competed in the USA National Youth Ballet Competition receiving a gold medal and was top twelve at the Youth America Grand Prix. Itzel stated her ballet training in Juárez, Chihuahua México at a local studio. At the age of 12 she participated in several competitions with Dance Educators of America. In 2007, she was accepted to the Dance Program at the University of Texas at El Paso. During her college years she enriched her training and performance experience in contemporary, improvisation, choreography, partnering, dance theater and ballet. She participated as a dancer and collaborated in original pieces that were performed at the American College Dance Festival in Louisiana, New Mexico, and Texas. In December, Itzel was cast for the “Holiday Spectacular” under the direction of Gregory l. Taylor and performed as a soloist in contemporary choreography for the Nutcracker. In October 2011, she was selected to be part of the musical Westside Story under the direction of David Grabarkewitz from El Paso Opera and New York choreographer Sean Curran. As a Shark she performed in scenes like The Dance at the Gym, America, Somewhere and The Rumble. During that year, Itzel was accepted in the Compañía de Ballet de la Universidad Autonoma de Cd Juárez, México, under the artistic direction of María Del Roble Becerra. As a member she performed as a soloist and corps the ballet in Bayadere, Swan Lake, and The Nutcracker for four seasons. In May 2012, she debuted as a Principal in La Fille Mal Gardee with the role of Lise and in the Mexican Gala with the role El Son De La Negra, an adaptation of Mexican folklore in ballet. In February 2013, Itzel trained in Cuba as part of the Foreign Program at the Ballet Nacional de Cuba. In July 2016, she had the opportunity to attend the International AVE BOHEMIA ballet workshop in Prague. In December 2013 she joined Olga’s Russian Ballet School where she performed as Dulcinea from Don Quixote, the classical piece The Animated Frescoes from The Little Humpbacked Horse, Odaliques from Le Corsaire and Pas de Action from La Bayadere. In addition, she has participated in the annual Ballet Examination and had the opportunity to teach classes for Ballet I and Pre Ballet. Liliana had been working for the last three years in the health area, as a spinning instructor, and practicing yoga, recently in May 2016 she tuck a certification specially to teach yoga for kids and families, the foundation and purpose of this training is to introduce kids to yoga, so they can improve concentration, boosts self confidence, increase strength and stamina, lower the stress levels. Experts consider yoga to be one of the best exercises which not only improves health, but is also the best tool to meet your inner self. Yoga is the best way to integrate the three fundamental things of life : body, mind and spirit and when families practiced together improves union and health relationships between the members of the nuclear family. Her philosophy of Yoga is that this practice is an expression of gratitude to our body , honoring who we are and were we are, a connection with our mind and body finding that balance that creates stability.